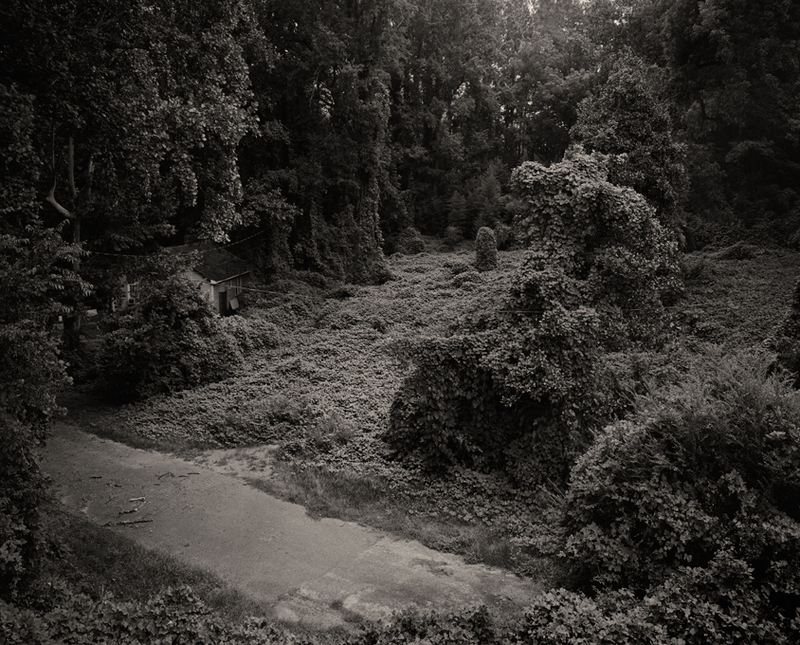 “Biological Invasion” is the correct term for the spread of a species in an area where it is not native. A distinction is made between natural migrations and human-assisted introductions. The latter can have immense effects on the ecosystem of an entire region, which is why this is also called an “invasion”. 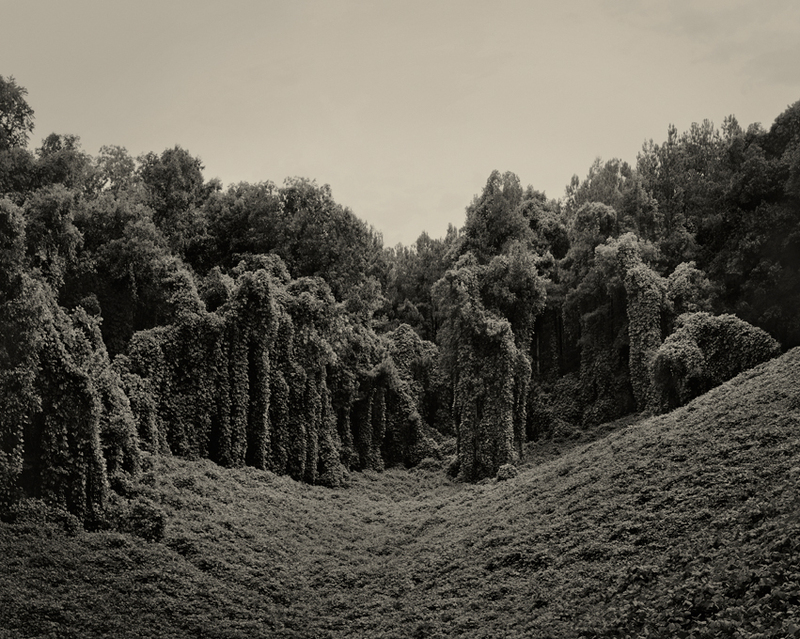 With her “Kudzu Project” the Swedish photographer Helene Schmitz has documented such a so-called invasive plant in its new habitat in the United States. 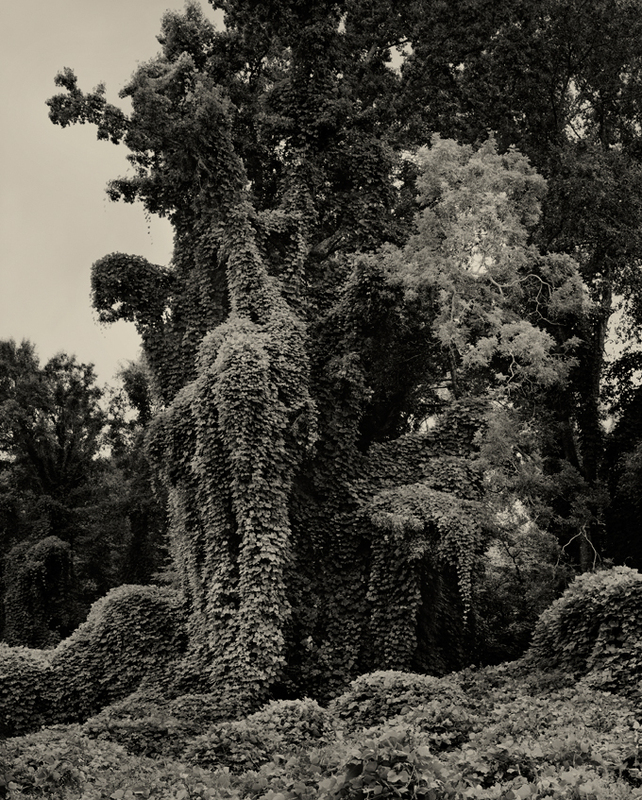 The natural circulation area of the Kudzu extends over Asia until North Australia. It was first introduced in the 19th century in the United States, there established itself as an ornamental and as a crop plant. 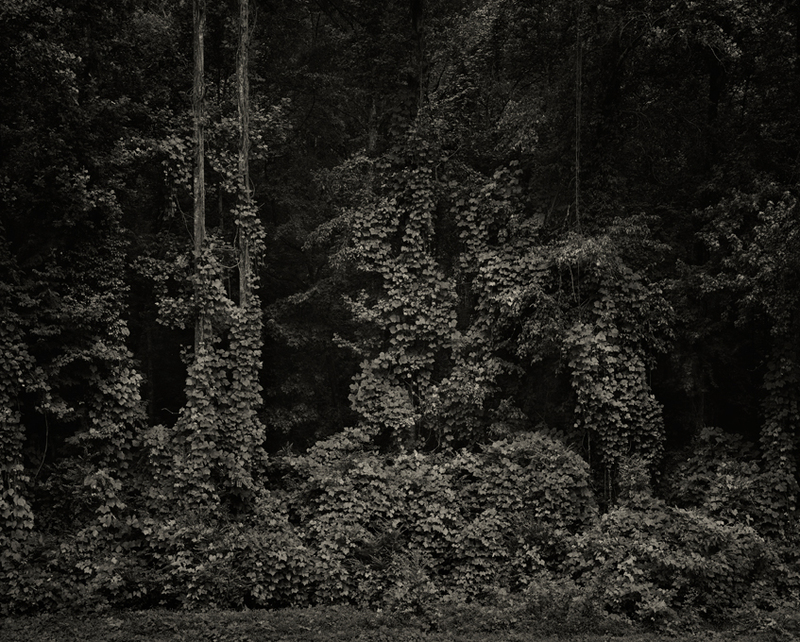 In these series there is a wonderful, mystical darkness. 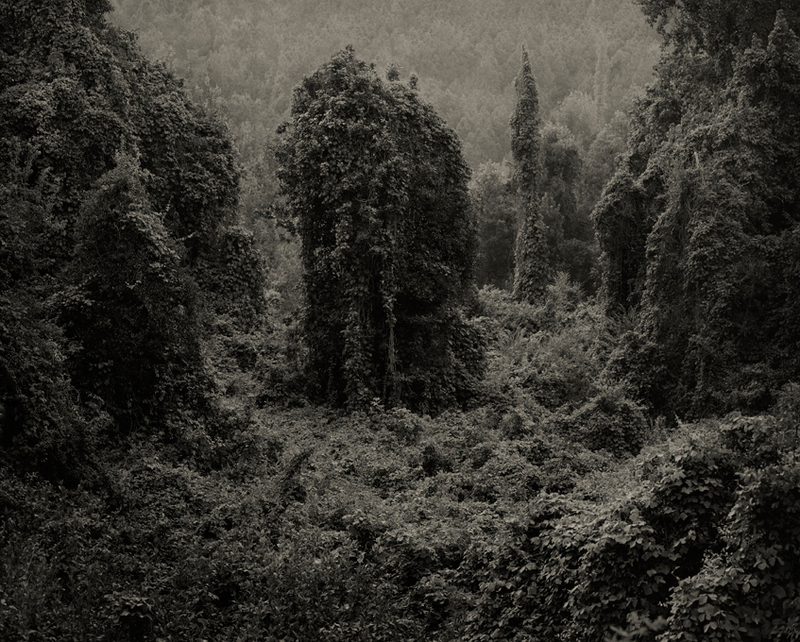 The viewer experiences a landscape, its history, and its character, almost as a mystical experience of nature. 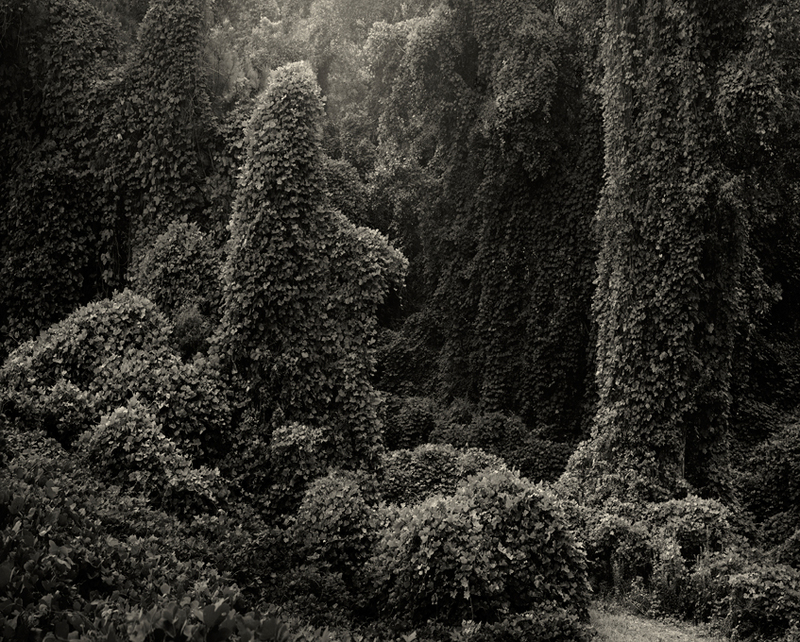 The created wondrous forms in their immense size rise majestically in their new environment. 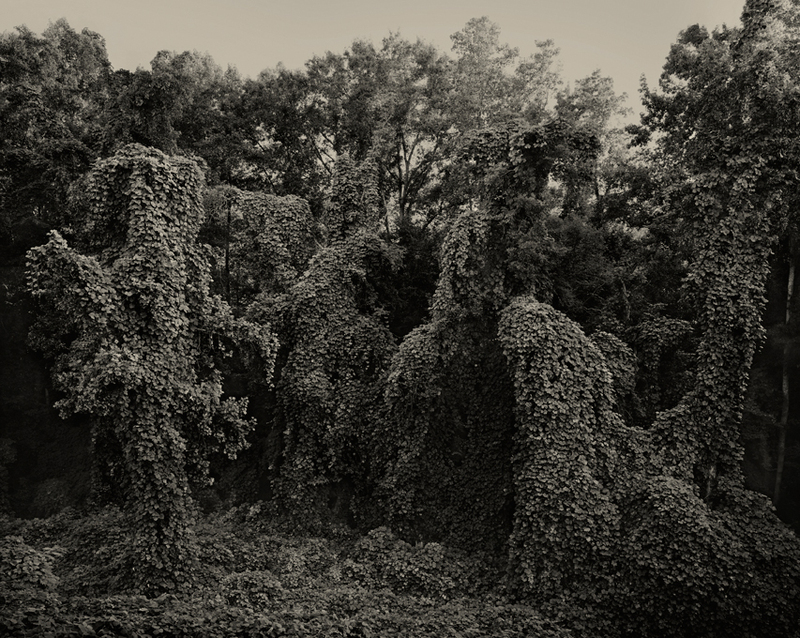 The dark vitality of this invasive plant imply downright a mood of doom.